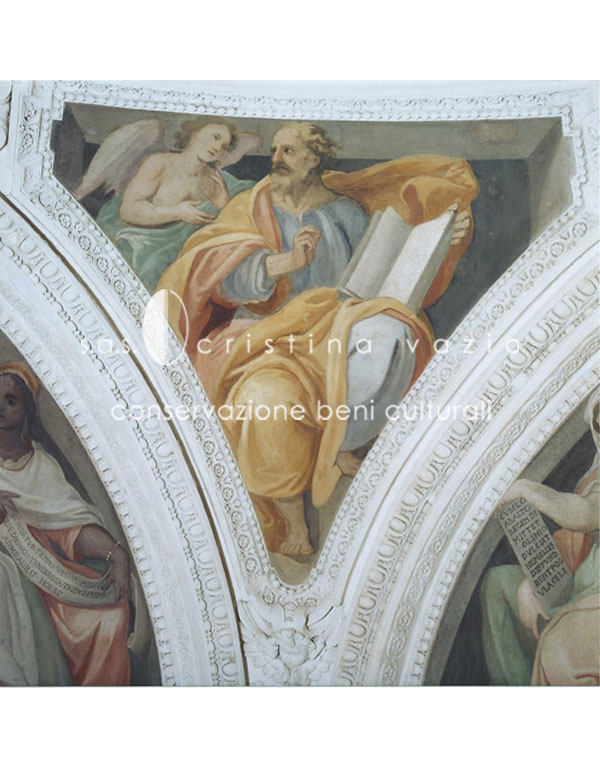 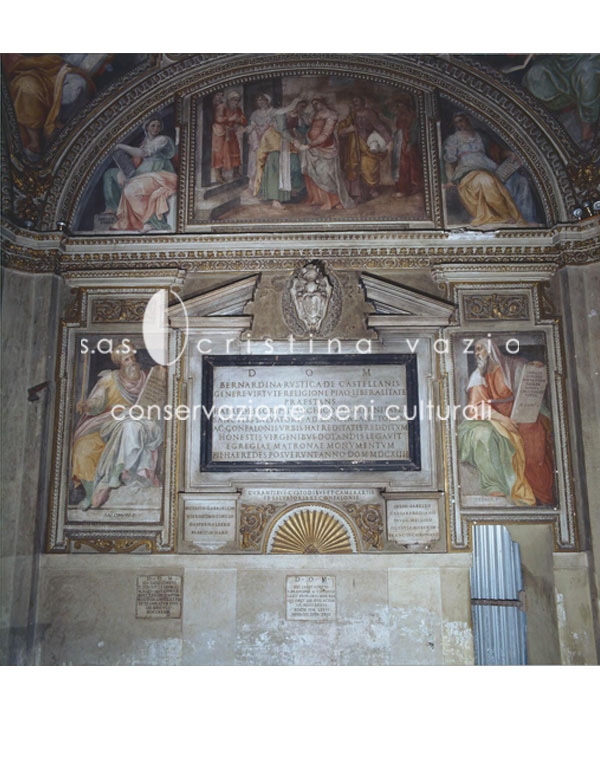 The decoration of the Annunciation Chapel in the church of S. Francesco a Ripa in Rome, was done in 1602 by Giovan Battista Ricci, known as “Il Navarra” . 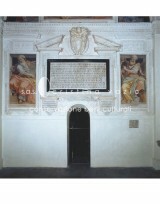 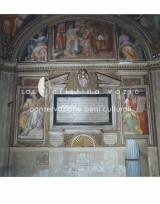 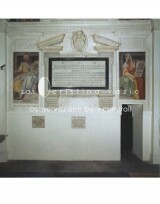 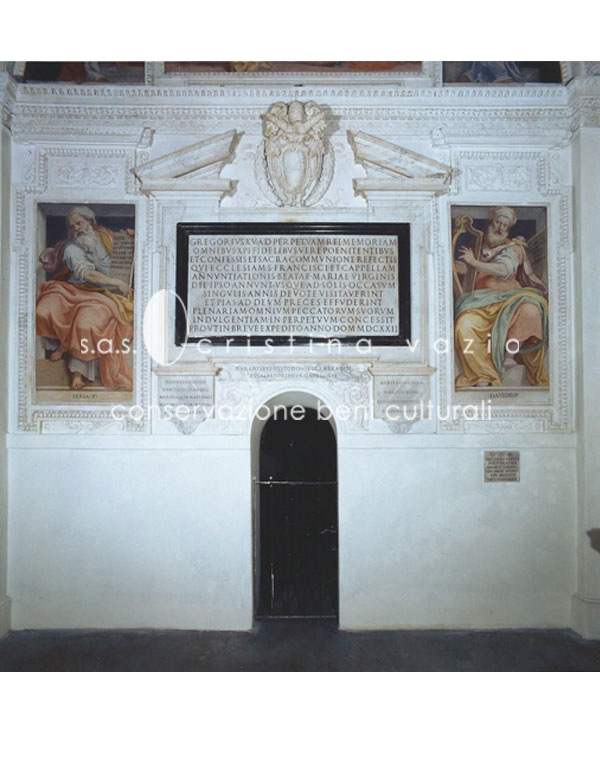 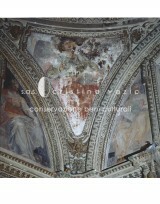 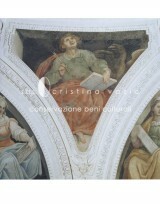 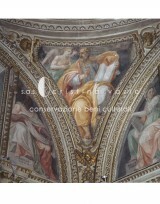 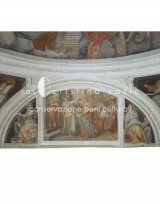 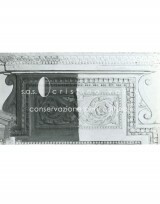 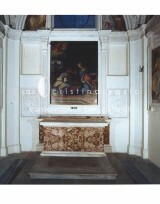 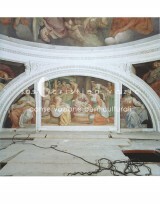 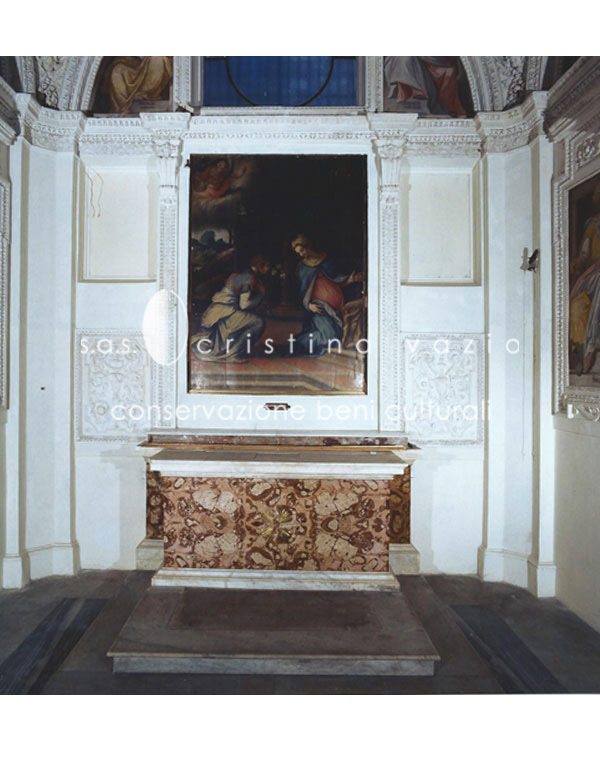 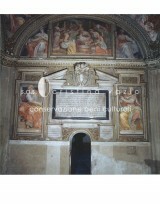 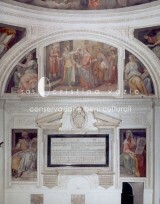 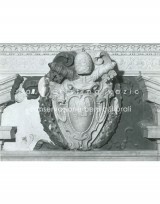 The decoration consists of frescoes, stuccoes and stone elements. 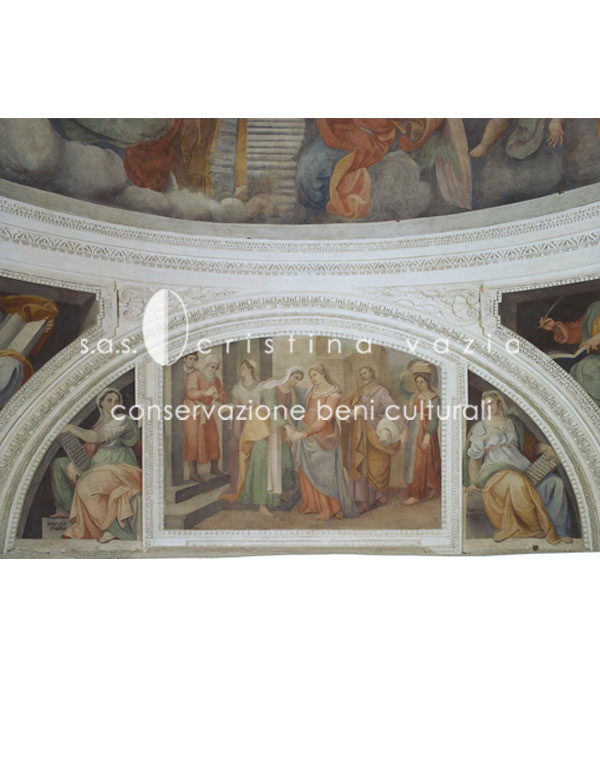 A panel painting by Antoniazzo Romano is located above the altar called the “Annunciation” (see “Canvas and Panel paintings” page). 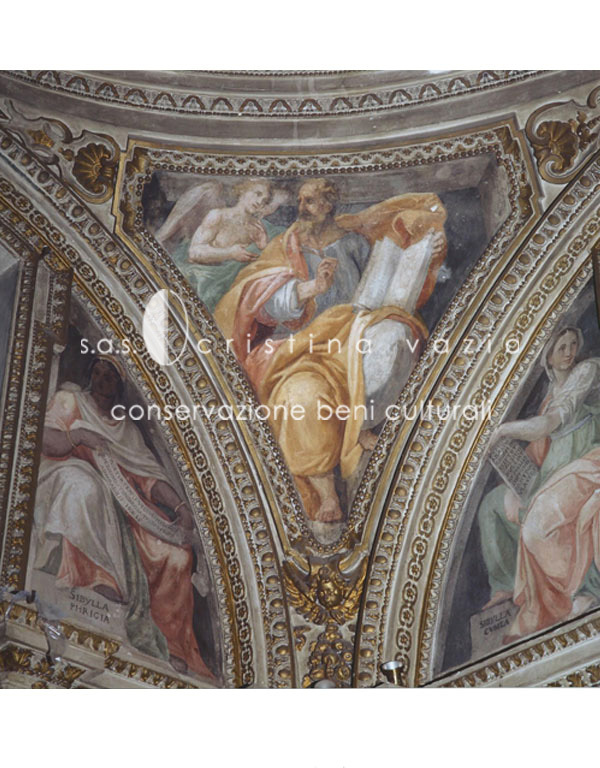 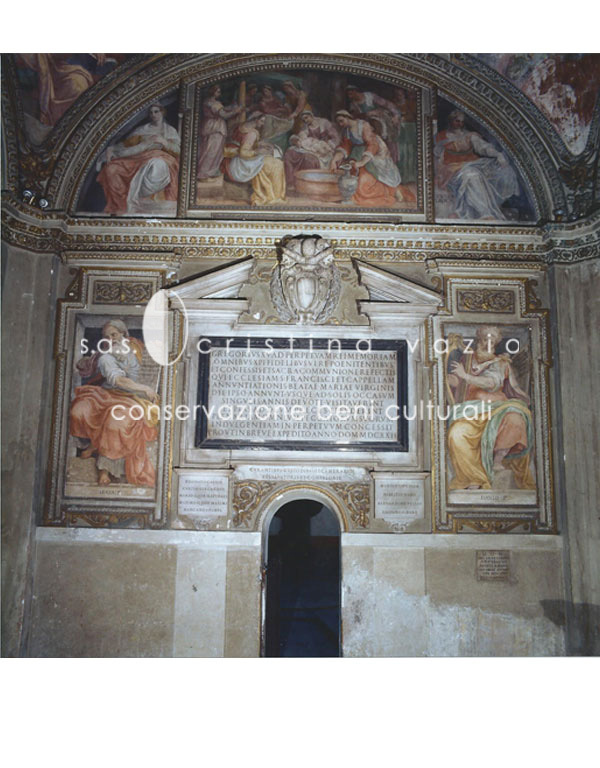 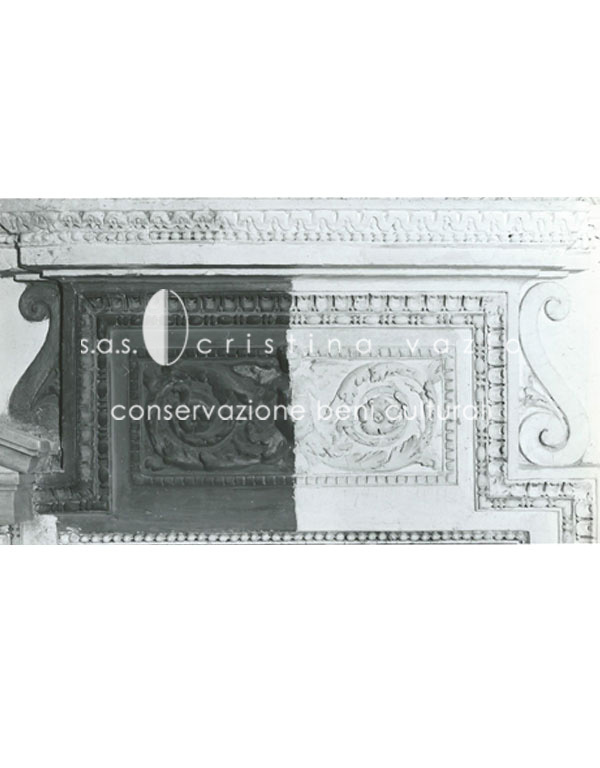 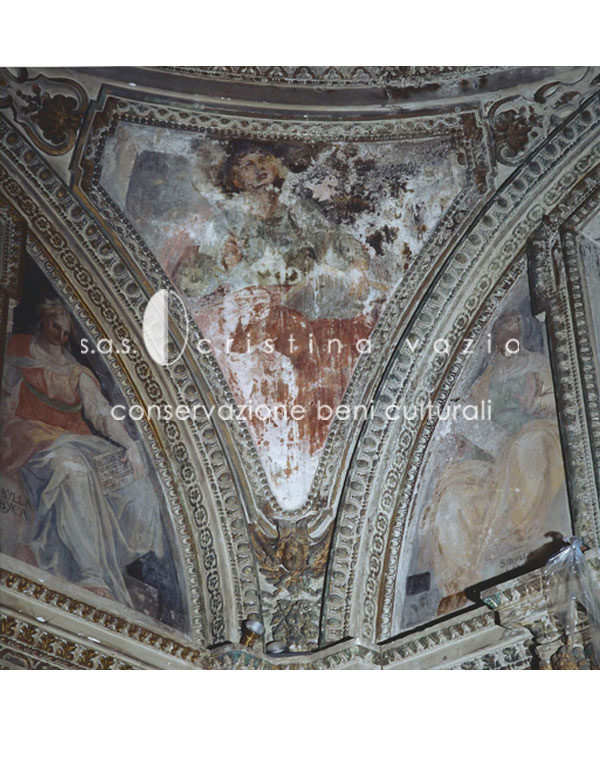 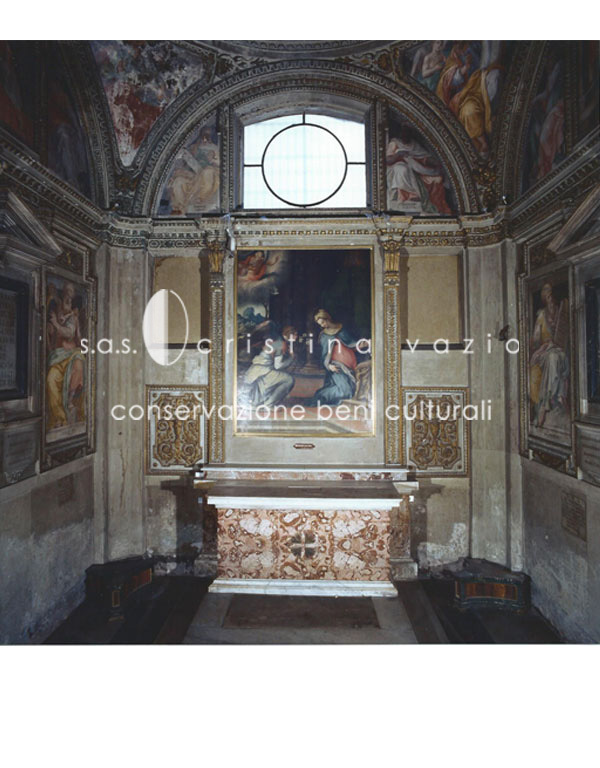 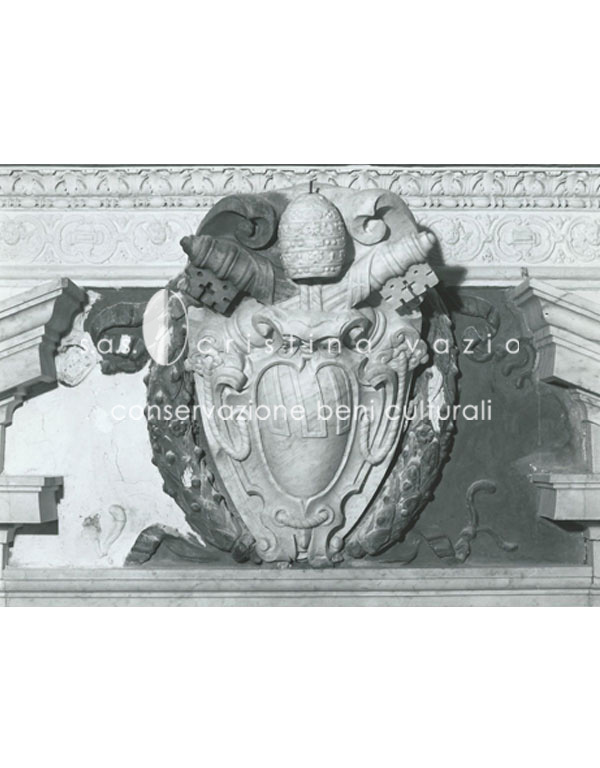 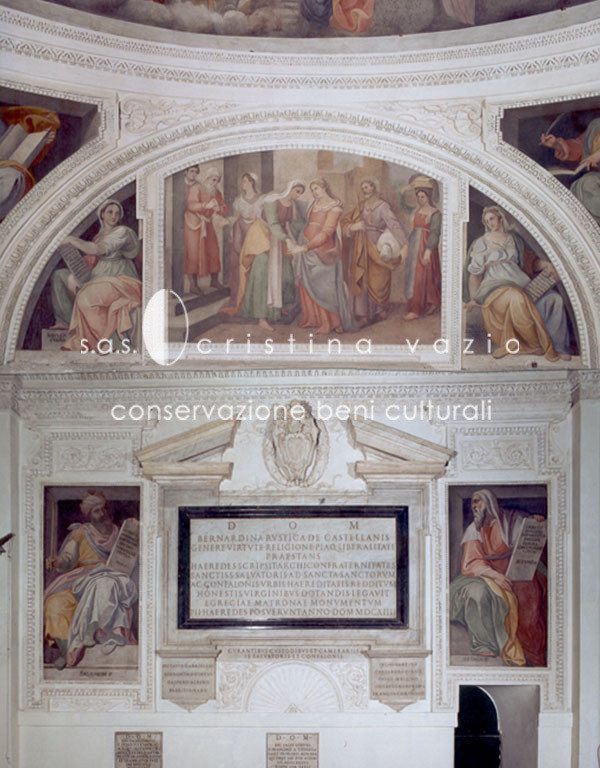 The restoration (see CV attached) was carried out on the entire decorative scheme of the chapel, which was damaged over the years by many water infiltrations and several past interventions of restoration that were unsuccessful.